The map is plan to establish if and where four kinds of disease-carrying ticks in particular are found in the Western and Northern Cape. According to Dr Sonia Matthee of the Department of Conservation Ecology and Entomology at Stellenbosch University, researchers are especially interested in the distribution of the Asian blue tick (Rhipicephalus microplus), the Africa blue tick ((Rhipicephalus decoloratus), the bont-legged tick (Hyalomma species) and the bont tick (Amblyomma hebraeum) in South Africa. “These four are the species that most commonly infest our cattle, and they are associated with specific stock diseases such as cattle fever, gallsickness and heart water,” she explains. 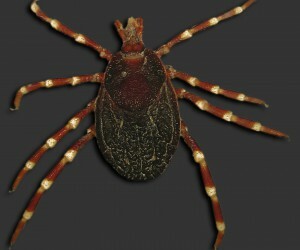 Heavy infestations of ticks can also damage the pelts of animals and so diminish production. 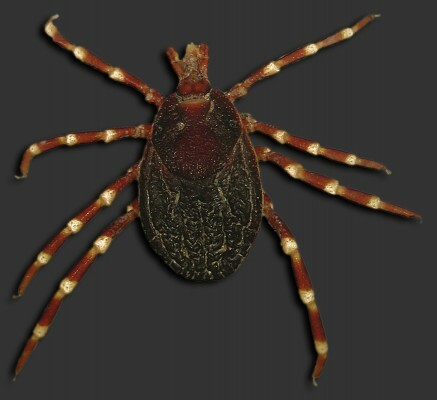 The most recent, complete record of the distribution of ticks in South Africa was published in 1978, after which only a few related yet sporadic studies followed. The Africa blue tick, the bont tick and the bont-legged tick are indigenous to South Africa. The Asian blue tick is an invasive species which is making an ever increasing appearance all over the country. It was recently recorded for the first time in Namibia. The 1978 records show that already at that time it was present in the eastern regions of South Africa, even as far as Swellendam in the Southern Cape. In general very little is known about the distribution of ticks, especially in the Western and Northern Cape and moreover records are very out of date. Information on the 1978 distribution charts is based on surveys from studies undertaken in 1944. The procurement of new records is important especially in the light of climate change and the continual movement of livestock and game throughout the country. “We are keen to see if the ticks, particularly the alien species, have adapted to the changing climate conditions,” says Dr Matthee, who hopes to be able to use the updated distribution charts to better map where the ticks appear. This information can help cattle, sheep and goat farmers to take the necessary preventitive action. Stock farmers who are interested in helping the research are requested to carefully remove ticks from five of their cattle, sheep or goats, to kill them in ethanol or methylated spirits and to send them to Dr Matthee. Photographs are not necessary. Cattle farms with grass or mixed grassveld are especially important for this study. “The eye of an expert is needed to at best identify the ticks under a microscope, because their little teeth are often the conclusive characteristic,” Dr Matthee explains why a photograph is not conclusive. The area on the animal where the tick is found gives a good indication of what kind of species it can be. “The blue tick is found mainly on the underside of the animal’s body, around its stomach or udder,” Dr Matthee says. • Collect ticks from preferably five animals per farm and store each animal’s ticks separately in a bottle or bag. • Grip the tick as close as possible to the skin and pull the tick off the animal with a pinching action. • Kill the tick by dipping it in ethanol (available at most chemists) or methylated spirits. Pour the liquid off before sending the ticks away by mail. • Write down your name, contact details, district and the name of the nearest town where the ticks were found and if possible your GPS co-ordinates. • Send it to: Dr Sonia Matthee, Private Bag XI, Matieland, 7601 or get into touch with her at smatthee@sun.ac.za or 021 808 4777 to arrange for the delivery of your specimens. What do the four species look like?